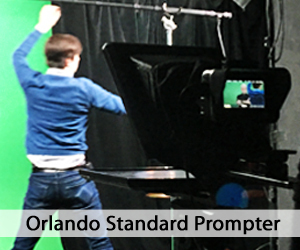 We have the following prompter gear available to be delivered and operated by an experienced professional. Price: $845/10 Hour Day with an operator. For unique setups (double camera, dolly mounted unit, Steadicam mounted unit, etc.) please call Bill at 917.414.5489. 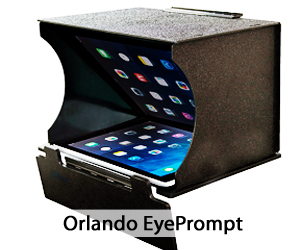 This professional “through-the-lens” teleprompter allows the subject to read a script while looking directly at the camera. The unit is mounted onto a sliding 15mm rod system, which is then placed on the camera tripod. Some talent/speakers are not experienced with using a prompter. 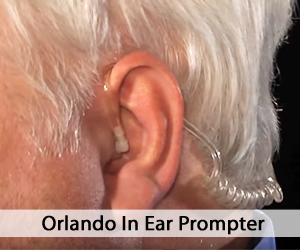 In these cases, it is useful for the subject to view the “Top Ten Teleprompter Tips” video located in the footer of this page. Average set up time is less than thirty minutes. 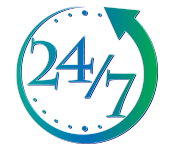 Scripts can be sent ahead of time (in Word format) or given to the operator on set. Script changes at the last minute can be made. The operator’s complete familiarity with the software makes this possible. 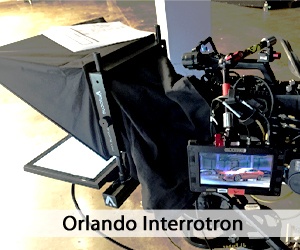 The Interrotron Mark III is a unit that facilitates a face-to-face conversation between director and talent. A prompter-like monitor is set up for each individual. The director’s unit sees a live camera feed of the talent, so he/she can monitor the footage (framing, lighting, etc.) while engaged in conversation. The talent, on the other hand, sees a live camera feed of the director instead of the depths of a camera lens, allowing him/her to feel and look more natural. The Interrotron Mark II only includes a talent unit. A live image is only sent to the talent, so while they can see the director, he/she must look into the camera rather than a camera feed display. 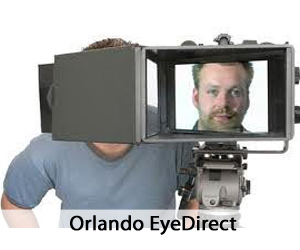 The EyeDirect achieves the same effect as the Interrotron but is a much smaller, easy to use, powerless (no AC or battery power required) unit. It utilizes a mirror system which allows both the director and the talent to see each other and have a conversation. The unit is prepared and ready to ship. The case weighs only 30 lbs and is just a bit larger than the typical airline carry-on bag. The most recognizable teleprompter is the Presidential Prompter due to the fact that, as the name suggests, every president since Eisenhower has used one when delivering speeches. 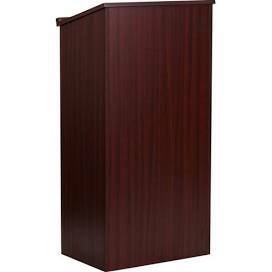 These units are also used in conferences, graduations, award shows and other events. It consists of two glass panels on thin steel rods with monitors at the base. The panels are positioned on either side of a podium and the monitors project text onto the glass. Only the presenter is able to see the text, whereas the audience sees the speaker’s face clearly through the glass. We strongly suggest that the operator arrive at the venue a few hours before the event is set to start so that he/she can work directly with talent to adjust teleprompter position, script fonts and anything else that will make the star of the show comfortable. Although rare, all operators also come with a backup laptop in the event of a software failure. 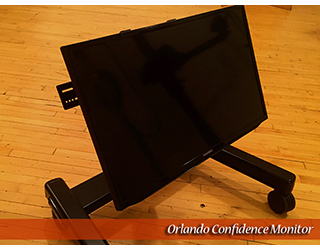 For unique setups or additional monitors, please call Bill at 917.414.5489. Some speakers prefer to walk around the stage and deliver their message rather than stand at a podium. 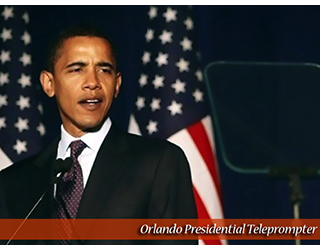 Just because they wish to move about, doesn’t mean they can’t refer to a teleprompter! 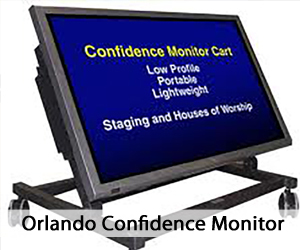 Confidence monitors are designed to prompt subjects that move around. These are small, “flat screen” HD monitors which can receive any signal from teleprompter software. They can be placed onstage, offstage or behind the audience. This unit is a good option for productions which involve a lot of travel, for small shoots with short scripts, and for filmmakers on a tight budget. It sets up and is ready to use in under 2 minutes, and does not rely on using power (except for an iPad charge). Although convenient to use, it is important to note that most iPad prompter apps do NOT allow you to adjust the speed of the scroll once it has entered prompt mode. This means that the talent will have to keep at a steady pace with the iPad software, rather than having an operator keep up with the talent’s natural speaking flow. We strongly suggest that this unit be used for smaller scripts, as delivering a speech (that’s several pages long) will make the talent sound robotic and monotonous. Podium Prompter (Monitor not visible). The lectern monitor is a thin teleprompter (about the size of a tablet) that is placed on a podium. A cable is run down the inside of it and onto the floor and out to the operator offstage. When addressing the audience, the speaker just glances down at the top of the podium as if he/she were simply referring to notes and then looks up at the audience in a natural manner. It’s suggested that the operator arrive a few hours before the start of the event so that he/she can work with talent to make any last minute changes. A comfortable speaker familiar with the device and at ease is conducive to a good delivery. Orlando is home to over a dozen theme parks, from the Wizarding World of Harry Potter to Universal Orlando to Walt Disney World, most of which also double as popular wedding venues. It is a mecca of the arts and hosts both the Orlando Indie Comedy Fest and the Orlando Film Festival annually. 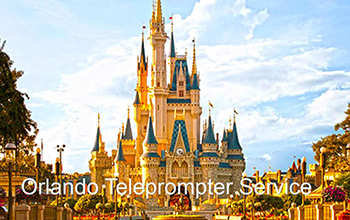 Orlando & Disney World Teleprompter Rental Services include: Teleprompter Presidential Teleprompter, Interrotron Confidence Monitor, EyeDirect and EyePrompt / iPad. The city is also a popular filming destination. With its entertainment tax exemption program and its convenient access to a variety of backdrops, Orlando is an attractive location to many filmmakers. In addition to its cityscape, Orlando is near beaches, swamps, and pastures, making for a highly versatile location. 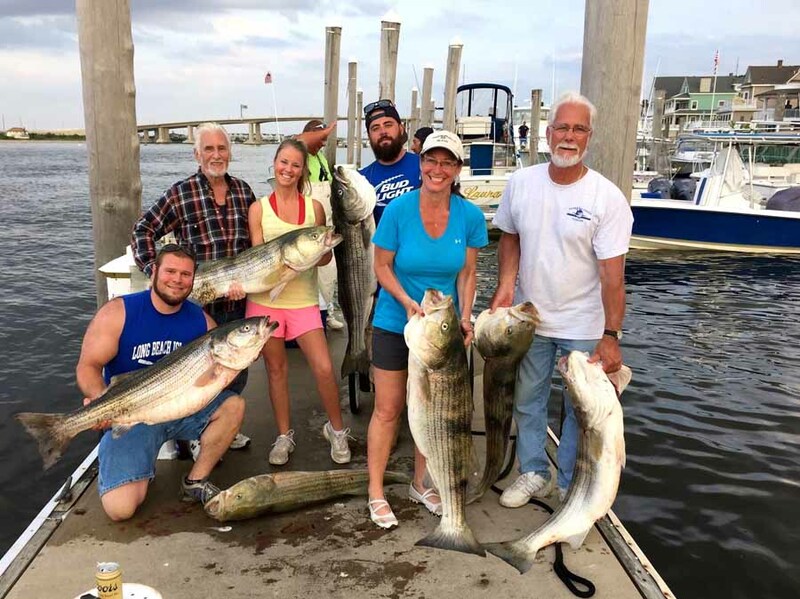 Friends and family had a fantastic time fishing as evidenced by the pic to the left. I needed the time to decompress. I had a job teleprompting for seven straight days! I work on a freelance basis for several film companies in Florida. Am now totally relaxed and ready to meet any challenge! 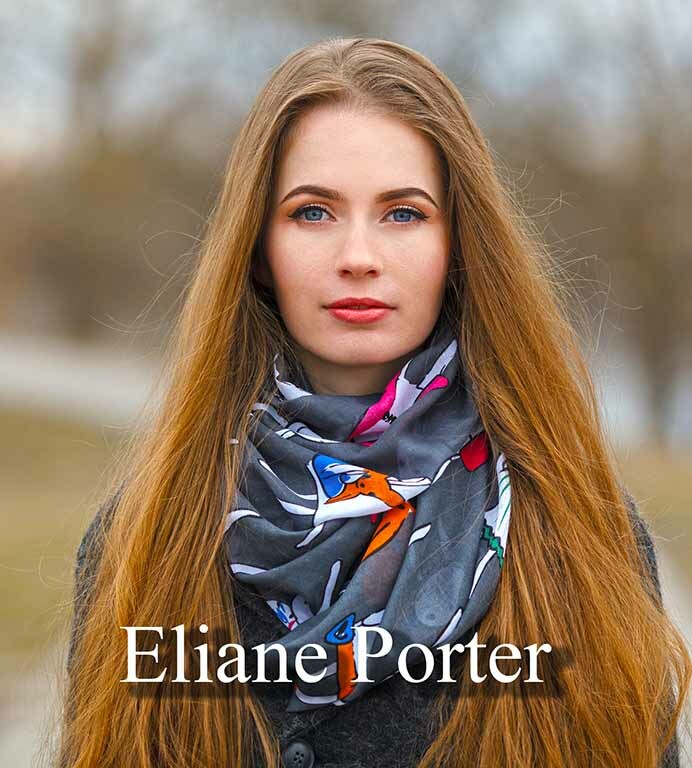 Eliane Porter is an accomplished actress, drama coach and prompter operator. She can come to your location with a presidential prompter or standard model and help you to deliver a more relaxed, effective speech. If requested, her assistant will bring a camera to record your improvement so you can watch the session again later to hear her voice over and incorporate her advice into your presentation. There is a good reason as to why Orlando, Florida is nicknamed “The City Beautiful”. If you haven’t yet had the opportunity to visit, I highly recommend that you do. Not only is Orlando known as “The Theme Park Capital of the World” home to the famous Walt Disney World, but it’s also known to house the second largest convention center in the United States. 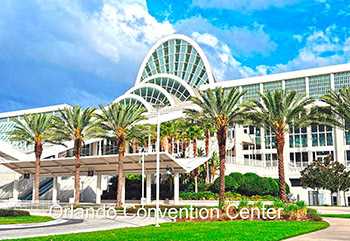 The OCCC (Orange County Convention Center) attracts over 300 events to the Central Florida area. It is conveniently located a mere fifteen minutes from the Orlando International Airport. It is not only a mecca for tourism, but for meetings and conventions from around the globe. Fortune 500 companies, top CEO’s all flock to this beautiful, inviting space. Having been gainfully employed by the American Movie Company for over a decade, I have seen this city grow exponentially. I have worked as a production coordinator and associate producer on countless commercials, films, and television shows that have been filmed here. One particular event stands alone! I must admit that my all time favorite work experience involved Senator Bernie Sanders. 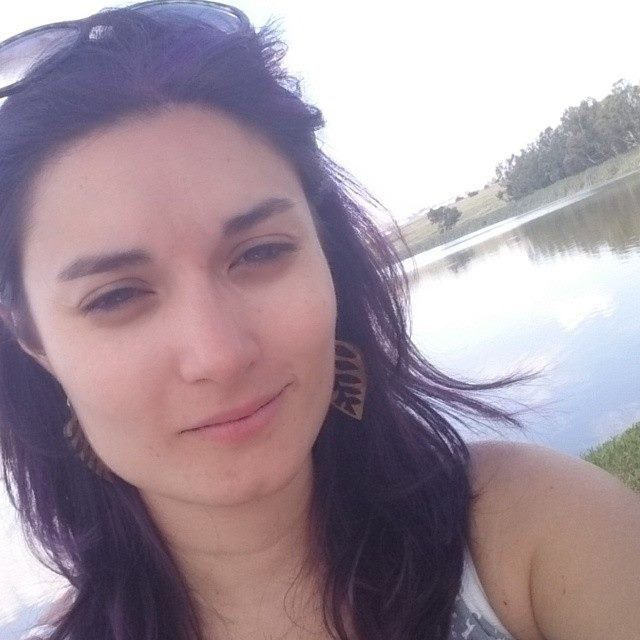 It was March of 2016, under the intense heat of the Florida sun. A crowd of over 4,000 had gathered to see the presidential hopeful speak on a variety of topics. His campaign rented the top of the line teleprompter, the elite of the elite. Ironically, it’s called the Presidential Teleprompter! Yours truly had the absolute honor of being the teleprompter operator for the Senator on that auspicious day. Part of my job is to listen to the rhythm of the speaker and make sure he/she feels comfortable with the pace of the scrolling. If the speaker improvises or goes off script, I follow and pause my copy until he/she resumes reading. I’m like the pianist who follows the singer, as they create the music. Bernie (as everyone affectionately calls him) was the quintessential pro. I expected nothing less due to his many years in politics and his genuine concern for the people. What I didn’t anticipate was how humble, charming, quick-witted, and kind he was. The rehearsal was unlike any other I had been to as an operator. There was an aura, a tangible feeling that we were witnessing something special. We were in the presence of a transformative, unique person. Every single word was uttered with intention, authenticity, in a word, gravitas. He was eloquent and the crowd cheered him with love. The reason this particular rally was so well received was due to his honesty. His no-nonsense, direct and to the point policies were not only clear, they were explained with such passion! The people who attended looked at him with hope. His optimism was infectious. Later when I watched the filmed speech, I swear I saw it reflected on people’s faces. The energy of 4,000 people seemed like that of 50,000. It was amplified in a way that just doesn’t happen very often, regardless of the forum. Jane Sanders, always by her husband’s side, is quite possibly the warmest person I have ever met in my life, in and out of this business. 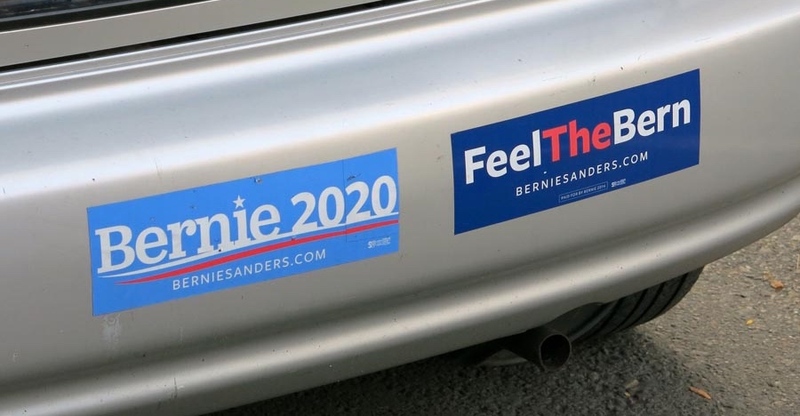 She had been working with Bernie as one of his political advisors from the very beginning of his grass root efforts. It was easy to see the beam of pride she carried for him when he took the stage and the crowd became electrified. At one point, she offered to get me a cup of coffee! This illustrated her nurturing side as well as her ability to multitask. I thanked her and explained that we had production assistants for that. I summoned (am being facetious) someone to bring us a snack and something to drink. In my opinion, it is rare that people are aware they are a witness to history. Again, it is rare that people are tuned in to the magnitude of some events until they pass. For me this experience stood out. I was eyeing a unicorn. I knew it in my core. I I could feel it. I dare say, we all could! And what better place to have that magical feeling than in Orlando, home of Disney dreams. 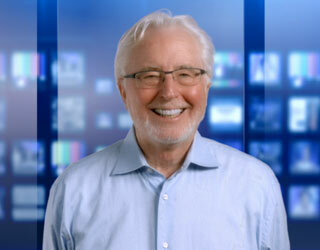 Prompter tips video and written copy to help you choose your equipment. 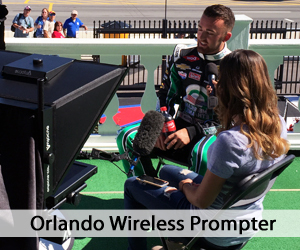 Take a look at our Top 10 Teleprompter Tips written out for you to reference before a shoot. Orlando is home to many large venues including Walt Disney World, Universal Studios, The Wizarding World of Harry Potter, Orange County Convention Center, and more. Most of these locations also double as event spaces. 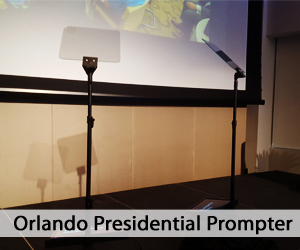 We are able to supply Teleprompters, Presidential Prompters, Podium Prompters and Confidence Monitors at all locations, indoors and out!